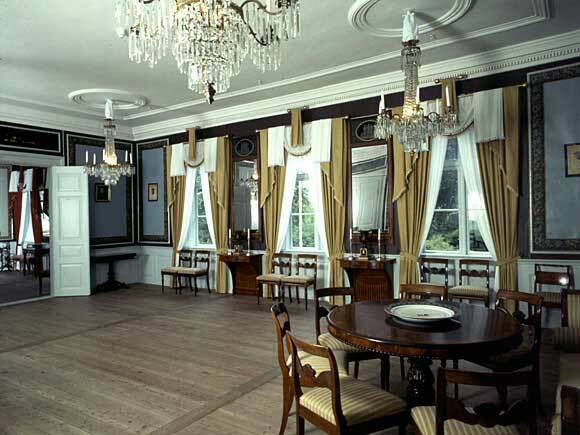 Ledaal is the King’s official residence in Stavanger. The building is owned and managed by Stavanger municipality. Ledaal was built between 1799-1803 by Gabriel Schancke Kielland as a summer residence, and for the next 60 years the Kielland family spent their summers and entertained guests there. The main house was upgraded i 1863 by the city recorder Jacob Kielland (1825-1889) so that it could be used all year round. 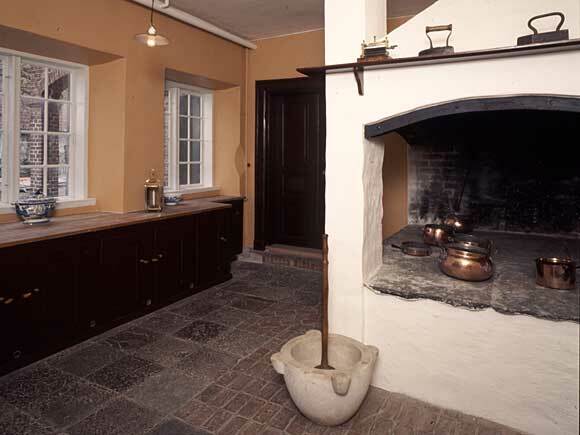 His son, Jonas Schanche Kielland (1863-1930), was the last of the family to live at Leedal, and six years after his death, in 1936, the main building and outhouse were purchased by Stavanger municipality. Since its comprehensive restoration in 1949 the house has been used as a Royal residence, museum and setting for official entertainments. The name Ledaal is composed of the last letters in the names of the first owner and his wife: Gabriel Schancke Kielland and Johanna Margaretha Bull. 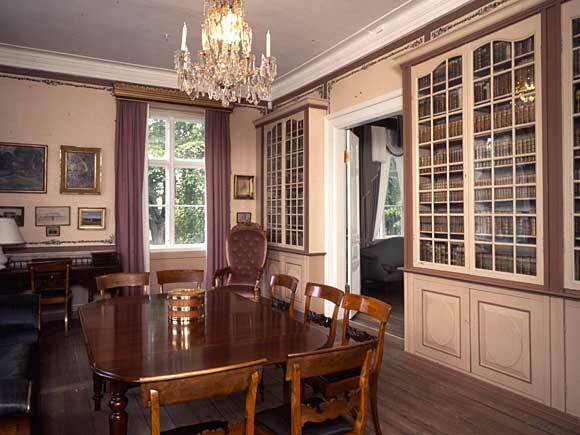 The Norwegian writer Alexander Kielland, Gabriel’s great-grandson, never lived at Ledaal, but often visited it and used the house and its guests as models in several of his works. 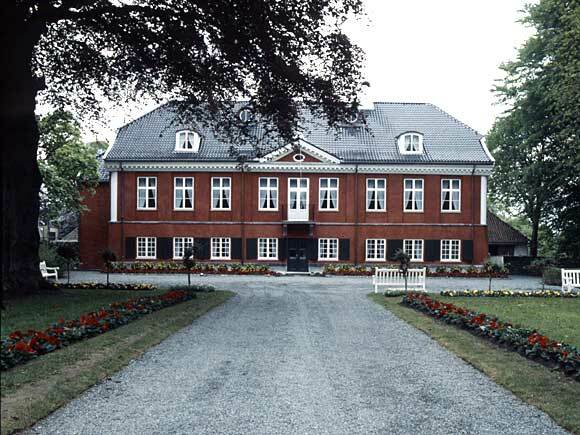 Ledaal was the first house in Stavanger to be built of brick, which had to be shipped from the Netherlands. The rectangular two-storeyed building, with its half-hip roof, the central emphasis in the facade and its combination of Baroque and Rococo stylistic elements, is clearly inspired by Danish 18th-century architecture. 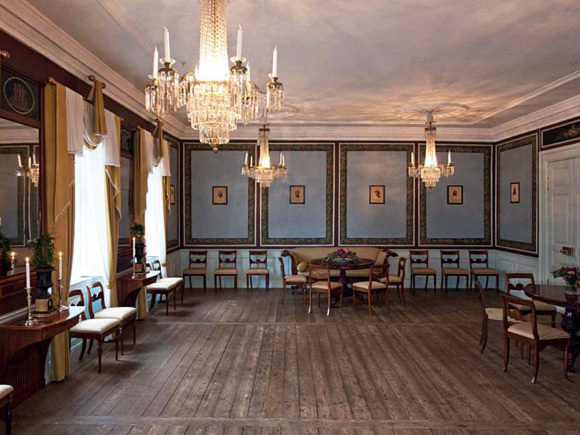 The first floor has relatively small, shuttered windows, and is subordinated to the impressive second floor, the piano nobile, where the important reception rooms are situated. Originally the building was faced with white plaster in the Classicist style, window frames, floor divisions and other details in light-coloured sandstone imported from Bornholm, Denmark. In about 1850 it was repainted in Late Empire red, with white-painted cornices and window-frames and dark-green shutters, which are the colours it has today. 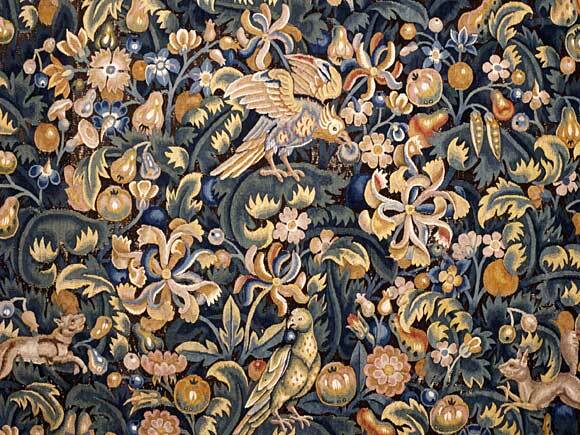 See the website of Stavanger Museum for more information.